I guess what I'm trying to say here is that I wish I would have asked Ashley for advice before finding something to give to Brian! She has some heartfelt and practical thoughts on both generosity and gift-giving. If you're wondering how to give generously to your friends in missions, or how to pick out the perfect birthday gift for a loved one - read on! How have you been blessed through another person's generosity? Almost every piece of furniture in our home has a story of generosity behind it. When we first moved into our new home, we literally had nothing. And within a few days our rooms were beginning to fill up with new furniture. One of our biggest blessings was being given a new washer and drier. Every time I throw little sleepers and socks into the wash, I remember that person’s generosity. Do you find being generous with your time/money/resources to be a challenge or does it come naturally? I love getting people gifts and seeing people’s faces when they receive something they really need. This year I had the privilege of bringing shoes to children in Romania who desperately needed them. And it was such a joy to watch their faces as they received. Those expressions make me want to keep giving- both my time and money. How are you challenged personally in the area of generosity, during this time of year? This year I have been personally challenged with generosity, because there are so many amazing opportunities to give. Right now Mark and I could support several missionaries, our church’s building fund, Mark’s school’s playground fund, etc… So as a family Mark and I have had to decide which people, organizations, etc… we give to. I would love to give to everything, but we are on a limited budget. Do you have any creative ideas for how to be generous with people? Whether with a friend or relative, or with a total stranger? 1) Shop throughout the year. Due to having a low income, Mark and I have to be creative with our generosity. Shopping throughout the year has really helped me give better gifts to family and friends while sticking to our budget. 2) Listen and write down what people like. This will take some intentionality, but listen to what your friends and family are saying. They will tell you what they like. The key is to remember what they have said. Due to how scatter brained I can be, I have actually started a little journal where I can scribble in people’s favorite candy, fun drinks, and gift ideas. Then I’m not in a panic when I need to get them something. I can nail it. They feel known and loved and I know what they like. 3) Share your heart about the gift. Just because you give someone a “normal” gift like a gift card doesn’t mean it has to be heartless. This year I am giving my sister and sister-in-law Starbucks gift cards. Now this could seem like a last minute gift, but it isn’t. I got those gifts because I know they value dates with their husbands. And I know a night out with their loves would do them some good. Along with their gift, I am giving them a night of babysitting. This will help build their marriages and give them the time and money they need to do that. A simple gift can be turned into a heartfelt gift if you share your heart. 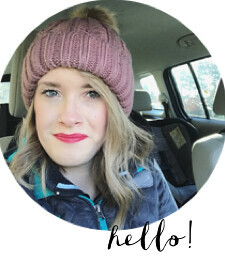 You can find Ashley blogging at Pencilled Daydream! I love this! Thank you for sharing Ashley's ideas! I really like the idea of writing down other people's favorite things and things that they like!